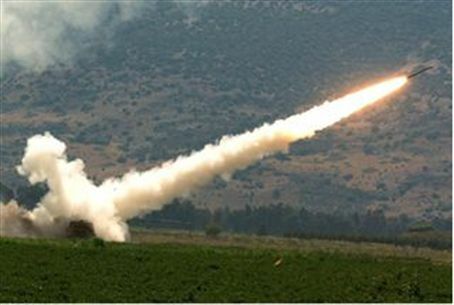 Arab terrorists Wednesday attacked the south with four Katyusha rockets either from the Sinai or from Gaza through the Sinai. Arab terrorists Wednesday attacked the south with four Katyusha rockets from the Sinai, an Israeli security source confirmed. No one was injured, and no property damage was reported, but at least one missile exploded between homes. One of the rockets was fired towards the community of Bnei Netzarim without causing any injuries, a security source said. The Egyptian Muslim Brotherhood government is ostensibly responsible for protecting the Sinai from terrorists. "What we know for sure is that there were four explosions in Bnei Netzarim and there is a sense within the army that they were fired from Sinai and not from Gaza," the source said. on us in Gush Katif," she told the NRG news website. The missile attacks came after a 24-hour lull in rocket launches on Israel, following a bombardment of more than 150 missiles and mortar shells since last Friday. Bnei Netzarim, referring to the children of the former Gaza community that was destroyed by the government in 2005, is located approximately three miles from Gaza. The Sharon government ordered the expulsion of all Jews and the withdrawal of all military personnel from Gaza in the summer of 2005, promising that the “disengagement” would end rocket fire on the south. Since then, Hamas and allied terrorists have fired thousands of missiles on Israel, reaching as far north as the southern edge of metropolitan Tel Aviv.